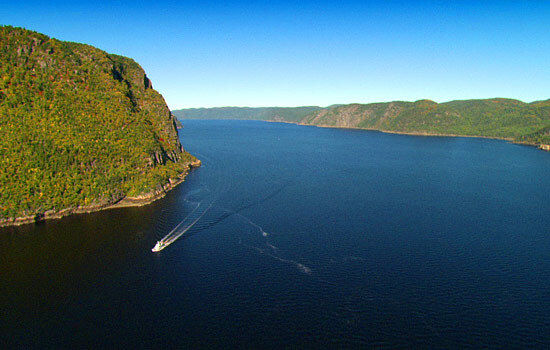 Ontario and Quebec are featured in this relaxing and enlightening journey. 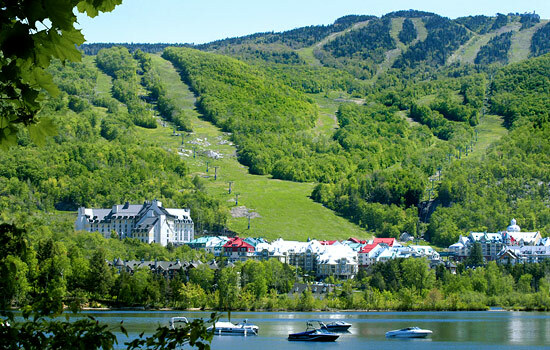 This tour offers a fascinating blend of artistic and culturally rich cities to explore, as well as time spent in the spectacular countryside of Quebec and Ontario. You will visit several of the best cities in Eastern Canada, including Montreal, Toronto, Niagara on the Lake, Ottawa and Quebec City. Enjoy wine tastings, museums and galleries and then take time to reflect in comfort on the train as you watch small villages, lakes, forests and rolling farmland pass by. Arrive in the bustling metropolis of Toronto and get ready to enjoy your exciting Canadian adventure. 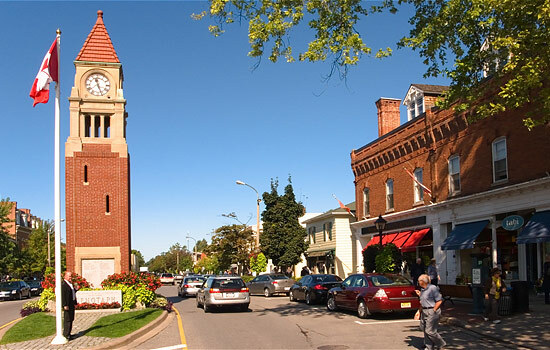 Travel directly to the charming town of Niagara-on-the-Lake, located on the shores of Lake Ontario and surrounded by flowers and rolling vineyards. Get settled in your warm, welcoming accommodation and then head out to explore the town. You have travelled a long way today, and we want to make sure your vacation is off to the best start! Take delight in cuisine inspired by locally sourced products from the fertile Niagara region. Sip and savor award winning wines expertly paired with your meal. Relax, as you start to make great memories from the very beginning of your holiday. What inspires you more today – a chance to sip some of the region’s finest wines or a glimpse at the world-famous Niagara Falls? On a small bus, venture to picture postcard Niagara Falls. Visit all the highlights of the area – the Upper Rapids, Niagara Horseshoe Falls, the American Falls and Table Rock. 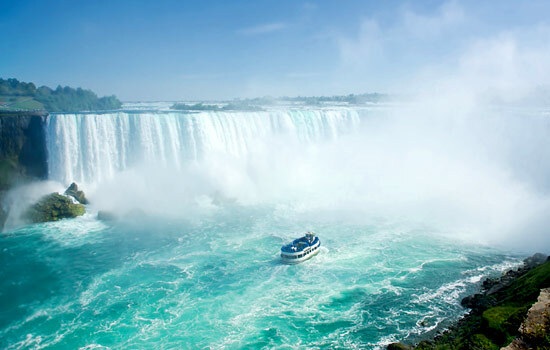 Also included is a thrilling ride into the mist of Niagara Falls on a boat tour. This tour also includes a buffet lunch. Travel the lush rolling green wine country in the Niagara Peninsula on this delightful wine tour. You will visit two renowned Niagara wineries and enjoy a wine tasting as well as a tour of each winery. This tour also includes lunch at a charming eatery on the Niagara Parkway. As you travel back to the ‘big city’ this morning, the funky and colorful neighborhoods of Toronto are waiting to be explored. 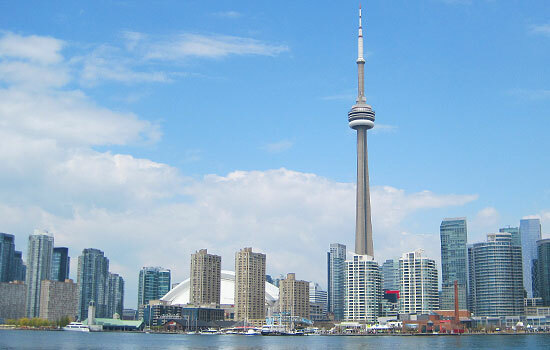 Spend the day at your leisure and discover what lies behind Toronto’s famous skyline. From a visit to the bustling St. Lawrence Market to the many vibrant neighborhoods this city has to offer there is no shortage of things to see. 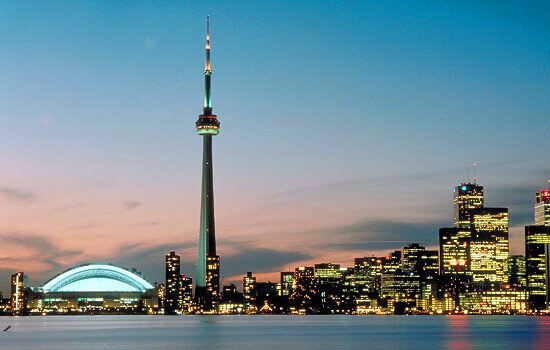 This evening, go up the CN Tower and enjoy an unforgettable three course dinner combined with an outstanding revolving view of Toronto more than 350 metres (1,150 ft) below. Don’t forget to plan some extra time before your meal to enjoy the glass floor outdoor terrace. 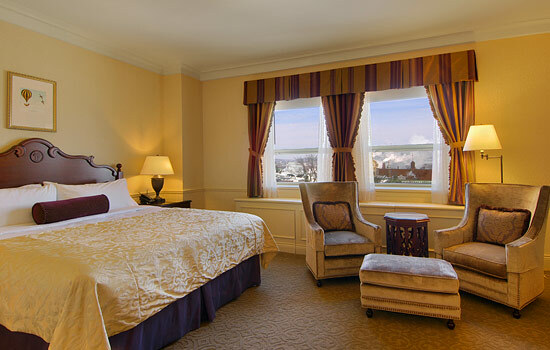 Wake up in the exciting atmosphere of Toronto and enjoy exploring on your own in this vibrant metropolis. 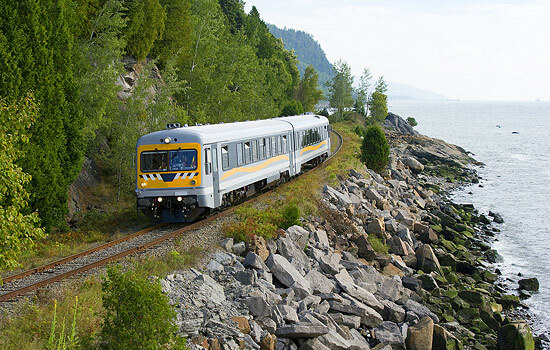 Today your train journey along the shores of Lake Ontario begins. 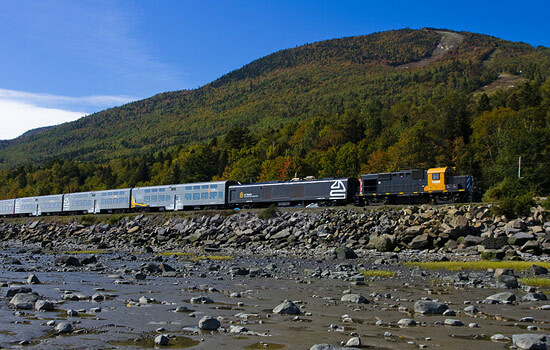 Relax in the comfortable VIA Rail train as you travel through thick forests, across rushing rivers, through quaint villages and past grain towers and old barns. The federal capital of Canada has plenty to explore. Check out the priceless masterpieces at the National Art Gallery and the fascinating historical displays at the Museum of Civilization and the Canadian War Museum. With an expert local guide, you’ll see the highlights of Ottawa on a tour catered to your interests. Whether you’d like to visit museums, gardens, see the parliament buildings, or visit eateries, our guide has got you covered. Why not take a leisurely stroll around Ottawa on this guided walking tour. Visit Parliament Hilll, The National War Memorial, Sparks Street, The Byward Market and other major city highlights. Experience Ottawa in a slightly different way – hit all the highlights and enjoy fabulous vistas of the Rideau Canal and Ottawa River, cycling over the Portage Bridge and incredible views of Quebec’s Gatineau Hills. 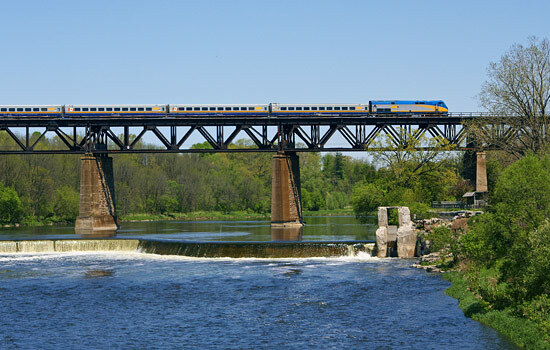 Say goodbye to historic and cultured Ottawa and relax in your comfortable seat as the train takes you across the border into Quebec. 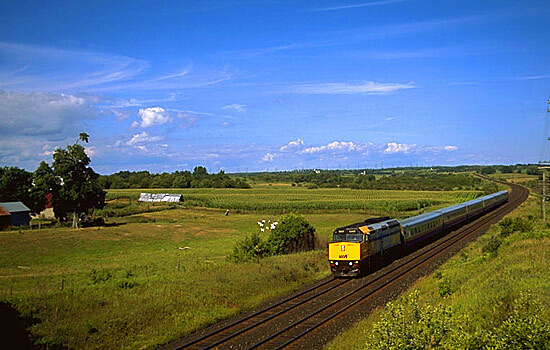 Watch huge expanses of rolling farmland dotted with small villages roll past your window while you enjoy the atmosphere on the train – sip a coffee, chat with friends or catch up on your reading. Arrive in the thriving city of Montreal, a bilingual metropolis rich in art and culture. Take some time to wander the cobblestone streets of the Old Town, watch the street performers or go shopping. We have selected one of our favorite restaurants for you in Montreal. With a menu created with a certain ‘French flair’, enjoy a showcase of the finest, freshest regional products. Enjoy this charming little nook, situated in the Old City. Montreal is a unique and fascinating city. It is the only French-speaking major city in North America and it brings together cultural influences from all over the world. Get a full overview of Montreal on a special small group tour by Sprinter Van, including dedicated driver and plus expert tour guide. This 6-hour tour gives you plenty of time to relax and enjoy the sights along the way, without being rushed. Taste your way through Old Montreal and discover specialty shops and boutiques. As you follow the narrow and winding streets, indulge in culinary delights whilst learning about the city’s unique history. In the afternoon, you can take your time and explore Montreal at your leisure – enjoy the lively ‘joie de vivre’ atmosphere. Relax in a sidewalk cafe on Rue St. Denis to sip gourmet coffee while doing some people watching. Quebec City is one of the oldest cities in Canada and it was fought over by the French and English in the early days of Canadian history. Today you will travel on the train from Montreal to Quebec City, a journey that will take you past the pretty town of Cap-de-la-Madeleine. When you arrive in Quebec City you will almost feel like you have made it all the way to Europe, as the cobbled streets and stone buildings have an old-world atmosphere. Admire the mountains on the horizon, peruse lovely local shops and galleries and discover Quebec City’s charms. Spend a full day discovering Quebec City’s French-Canadian culture. Marvel at the beautiful architecture of the fortified city, visit historic sites commemorating the battles between French and English, and discover the many quirky local shops and galleries. Today you have 3 options to choose from to help you enjoy Quebec City to the fullest. 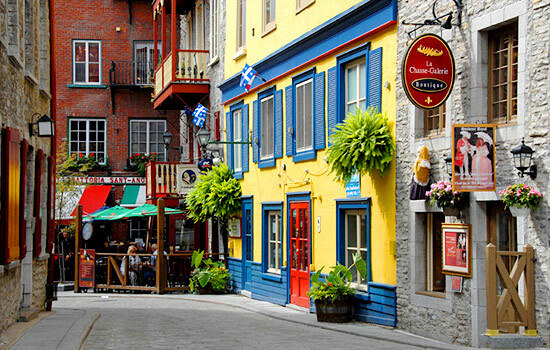 On a leisurely walking tour, explore the unique art, architecture, and history of Quebec City’s upper and lower towns. Your guide is equally passionate and knowledgeable about their home town. So confident are the folks that run this tour – that they simply called it ‘The Food Tour’ – the only food tour you will need to take! This tour covers seven different venues, and samples about 15 different products. Try food of French-Canadian origin from crepes to organic wine. Your Canadian train journey might be coming to an end, but the memories that you have made on your trip will last forever. Say goodbye to the friends you have made on the journey and head to Quebec City Airport to catch your flight home. 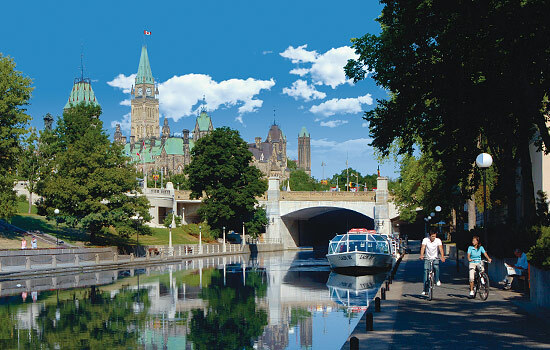 • Ottawa bicycle tour is available between April 27 and September 26, 2019 departure dates. • Small Group tour in Montreal is available from the May 23 to October 19, 2019 on Tuesdays and Thursdays. • Montreal Highlights by Bike tour is available between March 26 to October 25, 2019 departure dates. *Limited availability and surcharges may apply during the Grand Prix in Montreal (June). Please call your advisor for details.